Attention!!! Please be aware of REPLICA.Btrada never authorize to any other seller. Please check carefully before checking out. The Default Delivery Time is About 10-15 Business Days,Usually Get the Items in About 12 days. The sneaker featuring breathable fabric and lightweight sole.let your feet dry, walking freely. 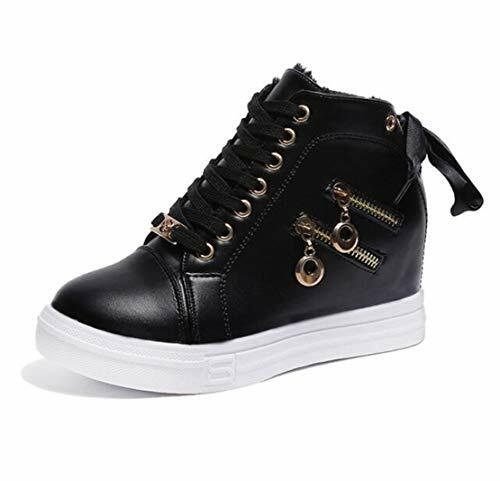 Women's work out sneaker athletic walking shoes casual platform fitness toning sneaker,height increasing with both lace up,hook and loop shoes,great for running,walking and driving. Flexible and durable non-slip rubber outsole provides excellent traction and stability. High elasticity of the rubber soles can be bent, stretched, compressed without damage. Lightly cushioned footbed for added comfort. Features: hidden high heel, light weight, anti-skid, breathable, super comfortable. If you have any questions about this product by Btrada, contact us by completing and submitting the form below. If you are looking for a specif part number, please include it with your message.